Former USC forward Jerry Dupree was one of the players who travelled to North Korea with Dennis Rodman in December to compete in an exhibition basketball game. 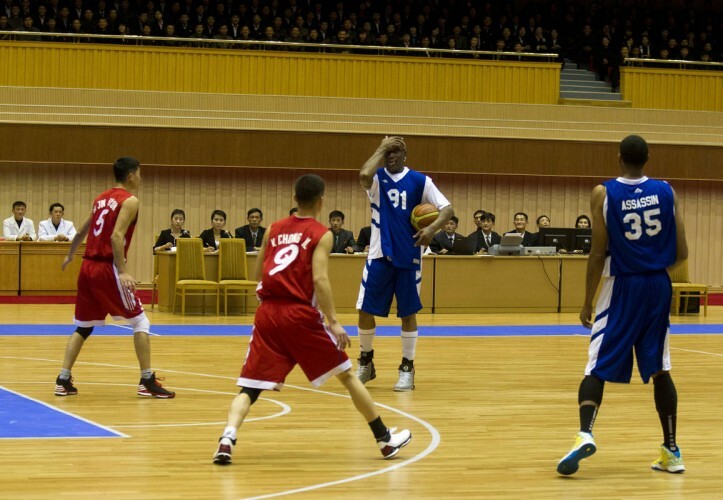 Rodman’s squad played against the North Korean Senior National team on the birthday of Kim Jong-Un, the country’s leader. In his first interview since returning to America, Dupree describes his extraordinary journey, relationship with Rodman and impressions of North Korea. The most frightening part of Jerry’s Dupree improbable journey to North Korea alongside Dennis Rodman did not occur until after the team had safely left the communist dictatorship. As the first athlete off the plane for the layover in Beijing before a return to the U.S., Dupree navigated his teammates through the bustling airport. As he turned a corner, he was suddenly met by hundreds of cameramen aggressively jostling for position, eager to capture photos and video of Rodman and his American counterparts who dared to play basketball in North Korea. Security guards, drastically outnumbered by swarming cameramen, unsuccessfully attempted to guide the players through the media frenzy. Players had to literally step over security guards who had lost their footing in the crowd. Sheltered from most mainstream news in North Korea, Dupree had not anticipated the crush of media that would be frantically waiting for the squad’s arrival in Beijing. He knew the exhibition basketball game played in front of dictator Kim Jong-Un had made international headlines, particularly following Rodman’s now infamous CNN interview. But he had no way of knowing how close the world was following his journey. 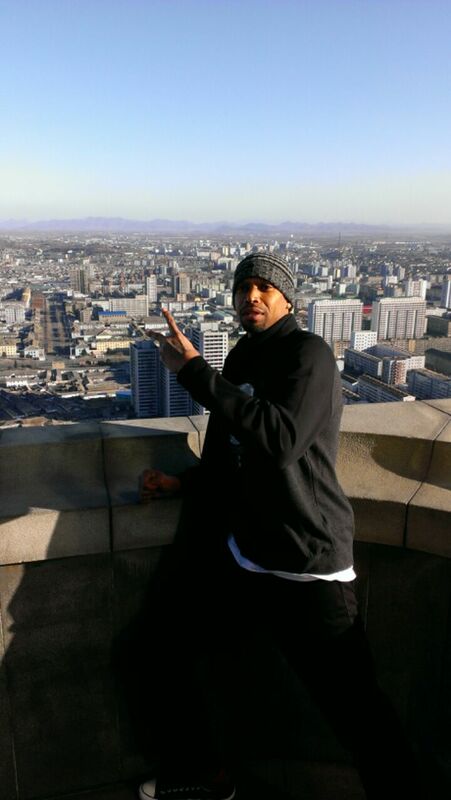 How did Dupree, an athletic former USC forward, end up in North Korea with Rodman? Dupree’s friendship with Rodman began nearly 10 years ago. After his stint at USC, Dupree played professionally for the Long Beach Jam of the American Basketball Association. In 2003, at the age of 42, Rodman decided to also join the Jam, forming a stacked roster that also included future NBA players Matt Barnes and DeMarr Johnson. Dupree and Rodman stayed in touch periodically in the ensuing years, although not as frequently in recent years. The two reconnected when Dupree went to play in a basketball exhibition in Malaysia in November that Rodman was also a part of. The trip was organized by Charles Smith, CEO of the U.S. Professional Basketball Association, which uses “basketball as a bridge for cultural exchange,” according to its website. As the two former teammates explored new ground together, Rodman mentioned the possibility of travelling to North Korea. Rodman said the trip was not yet finalized, but he was searching for players who might be interested in joining him. About a month later, Smith called Dupree to formally invite him to play in North Korea. As the departure date grew nearer, Dupree began to research North Korea. He learned more about Kim Jong-Un’s regime and the international condemnation of the country’s human rights record. He read about the execution of Kim’s uncle and top aid, Jang Song Thaek, as well as the detainment of U.S. citizen Kenneth Bae. He also discussed the trip with friends and family. Ron Selleaze, a former Summer Pro League teammate, thought it was a “great” opportunity. Dupree’s father would cut stories about North Korea out of the newspaper and show them to his son. Undeterred, Dupree made the decision to press on. 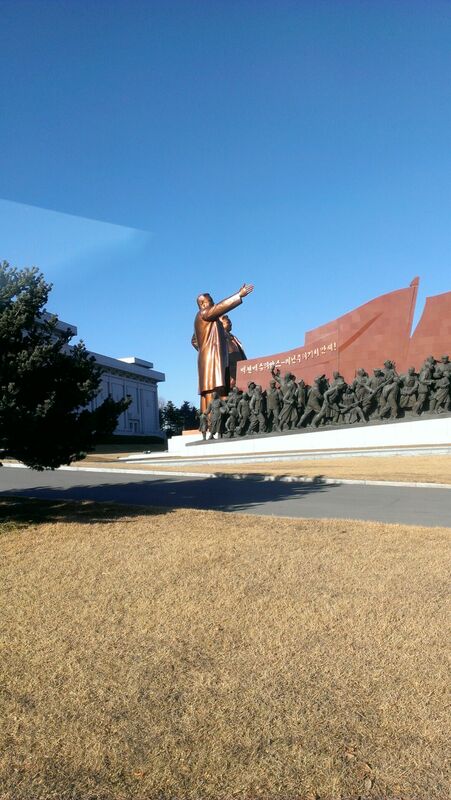 When trip finally arrived, the players flew into Beijing before heading into North Korea. Dupree was the first one off the plane, and he pulled out his camera phone to record the moment. The first thing he noticed was the cold air. He then spotted the ominous security personnel stationed atop the roof of the airport with rifles. As the team bus rolled up to the hotel, the players attracted significant attention from the locals. Dupree found the team’s accommodations to be 5-star, with one major exception: the players never received keys to lock their hotel rooms. The players tried not to worry about leaving jewelry and other valuables unguarded in their rooms. Dupree also noted the quality of the food. During his time with the team, he ate pheasant for the first time, while also dining on duck and numerous types of seafood. “They treated us like kings,” he said. The night before the game, Charles Smith arrived at dinner and announced to the team that CNN was interested in interviewing Rodman. Smith eventually convinced Rodman to do the interview, and the rest of the players agreed to join by sitting in the background. At dinner, the players discussed potential questions Rodman might be asked. Before the interview, Rodman was noticeably nervous. Rodman stumbled over his words several times during the interview, which now has more than one million views on YouTube. Throughout the interview, the players sat in uncomfortable silence in the background of the shot. Based on the interview, the players began to understand the backlash their presence in North Korea was receiving back back home, and they seriously considered calling off the game. Dupree looked up at the crowd and was absolutely stunned by what he saw. He was used to playing in front of large crowds, from preseason NBA games with the Los Angeles Lakers to the toughest playgrounds on the And-1 Streetball Tour. Yet he had never experienced anything quite like this. Everyone in the stands wore the same color outfit. Nobody left their seat to go to the bathroom or buy snacks. One section would clap at a time, and everyone else would remain completely silent. “It was overwhelming,” Dupree said. The players had little time to warm-up, and, upon Kim Jong-Un’s arrival, they were forced to stand idly by as the spectators clapped non-stop for 10-15 minutes by Dupree’s estimation. Rodman gathered his American players before the game to tell them to play hard. “Dennis said [Kim Jong-Un] didn’t want to see any tricks or anything like that,” Dupree said. Once the game started, the North Korean team hit a couple of early shots, surprising the American players. Dupree, at 32, was one of the youngest players on an American team that included retired NBA stars Vin Baker (42) and Doug Christie (43). A CNN story on the game stated that the American squad lost. But Dupree said players switched sides, making it hard to know who came out ahead. “I don’t know who won to be honest,” Dupree said. Watch Dupree’s high-flying dunk 7:30 into the game highlights. After the game, the Americans shook hands with Kim Jong-Un. Dupree and Doug Christie were the last players to depart from the Beijing airport on the return trip because they were the only players flying home to the West Coast. When Dupree landed at LAX and turned on his phone, it immediately began to vibrate uncontrollably with messages from friends and family. He decided it would be best not to check his phone for a day or two. Though reporters approached him about sharing his story, he turned them away, preferring to let the story die down. He has since read articles about the trip, and even watched the parody video comedian Mike Epps made about the CNN interview. “I don’t want people to see the guy sitting in my chair and think that’s how I act,” Dupree said about the parody. Dupree now lives in San Diego and is expecting his first child. 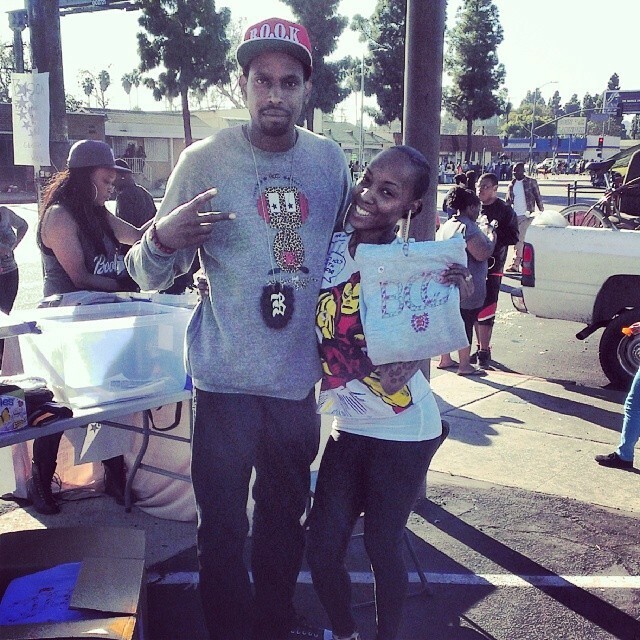 He is the CEO of the lifestyle brand B.O.O.K., and is working on a book for children. He continues to hone his basketball skills on a daily basis, and is searching for an opportunity to play professionally overseas. “I am better now than I have ever been as a basketball player,” Dupree said. With Rodman reportedly in alcohol rehab, the two have not talked since. Despite all of the ups and downs, if Rodman were to ask Dupree to go back to North Korea, he already knows his answer. Dupree is the founder of B.O.O.K. Clothing. Visit the official B.O.O.K website and Facebook page to learn more.